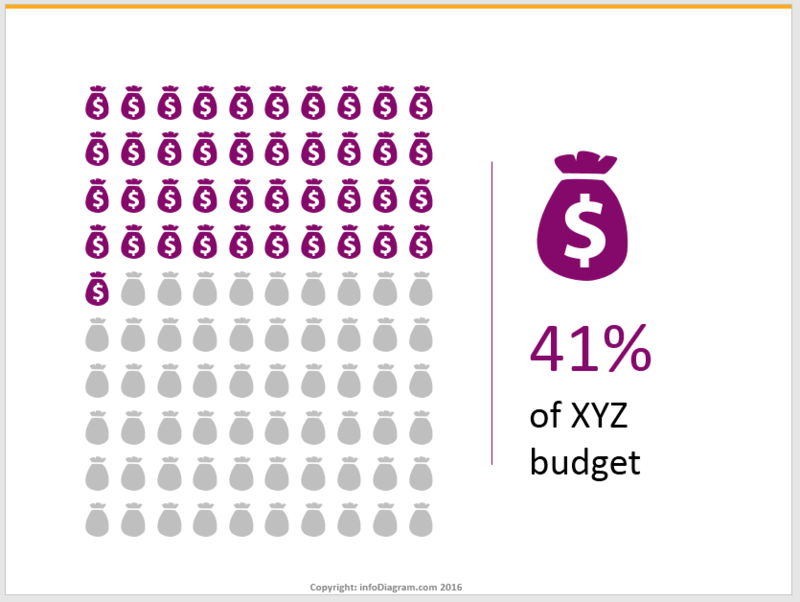 One of the key lessons we learned when working with presentations is that people catch visual information way faster than a bold text. 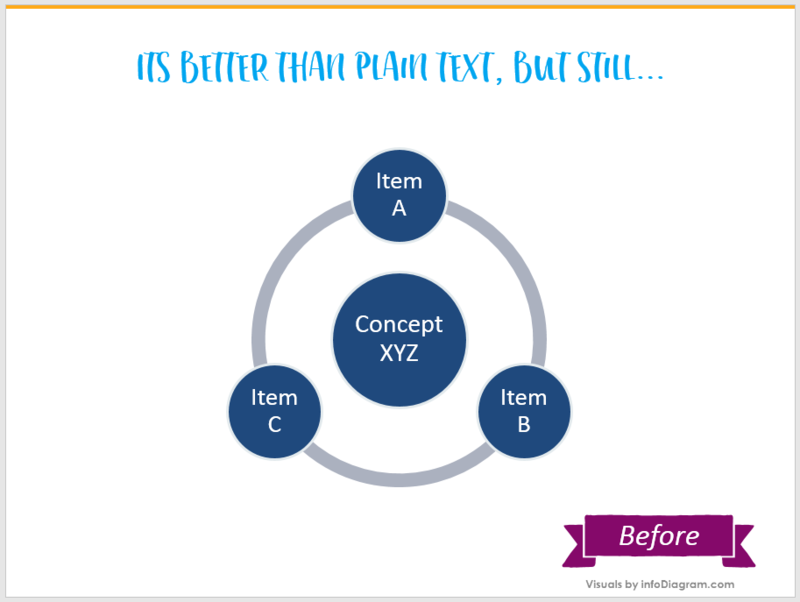 Here we’d like to present you a few proven ways how you can transfer a text information to strong visuals. 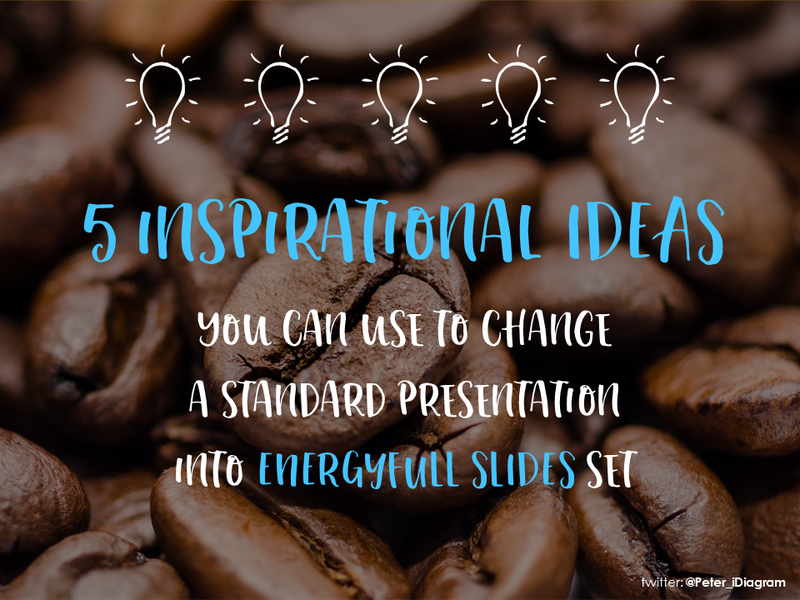 Follow these five tips – to boost the energy level of your slides the same way the coffee wakes you up in the morning :). Take a quick look at this picture. 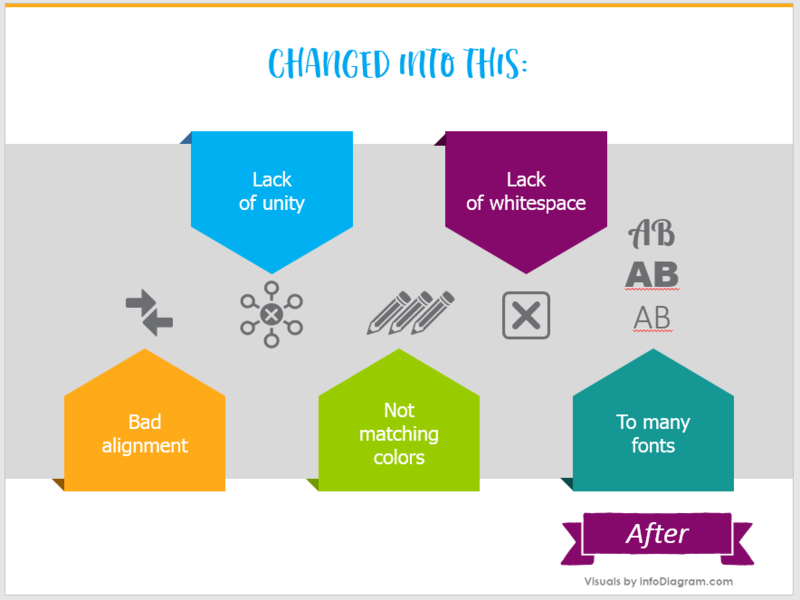 Observe how easily a set of simple shapes can make a boring list catchy and interesting to look at. 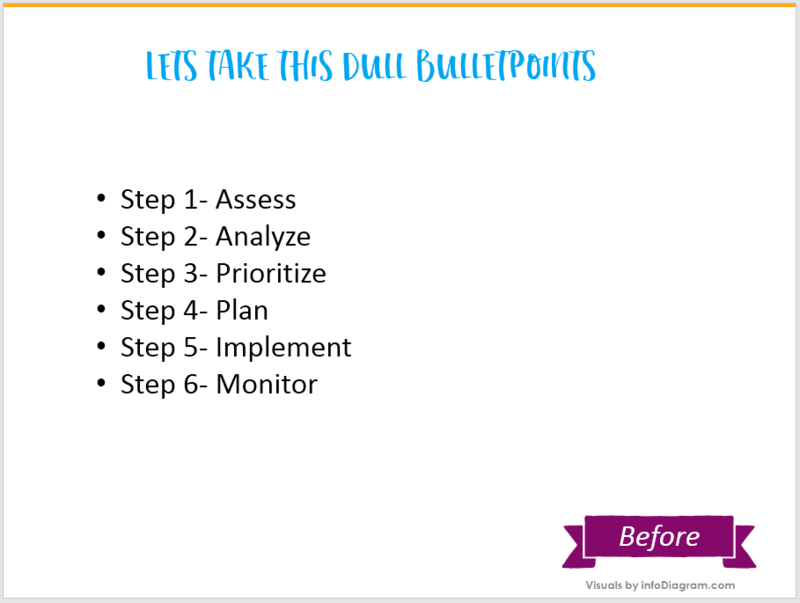 If you can’t remove bullet points from the slide (e.g. 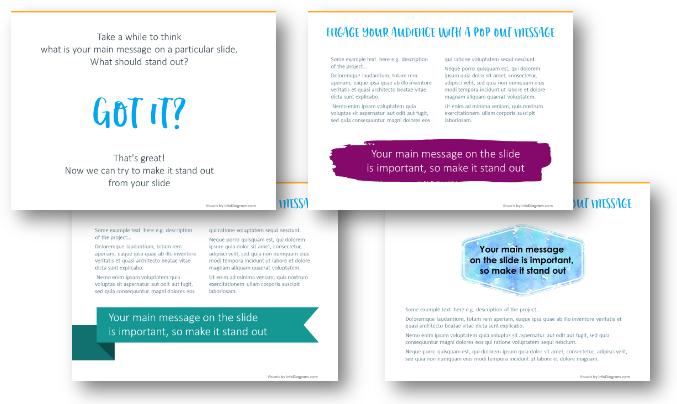 you’re presenting an agenda and want to keep it in a flexible list format), check out this blog article Three Creative List Presentation Ideas. 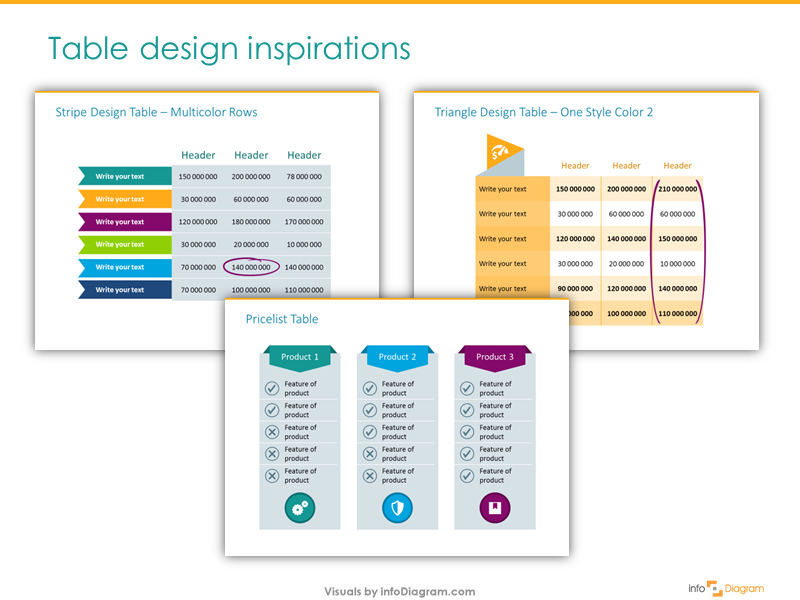 Check out four easy ways you can use to quickly change default data tables to more attractive table graphics. 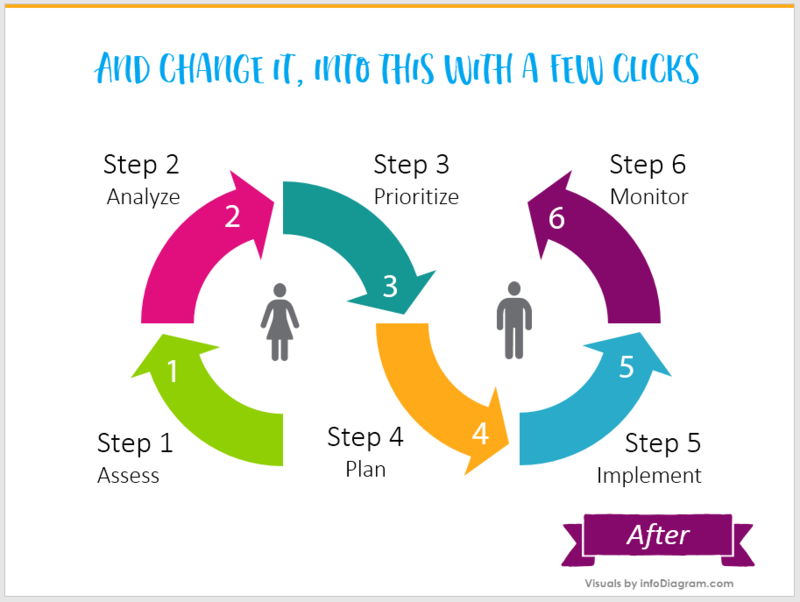 Use colorful shapes and simple infographics instead of text only bullet point list. 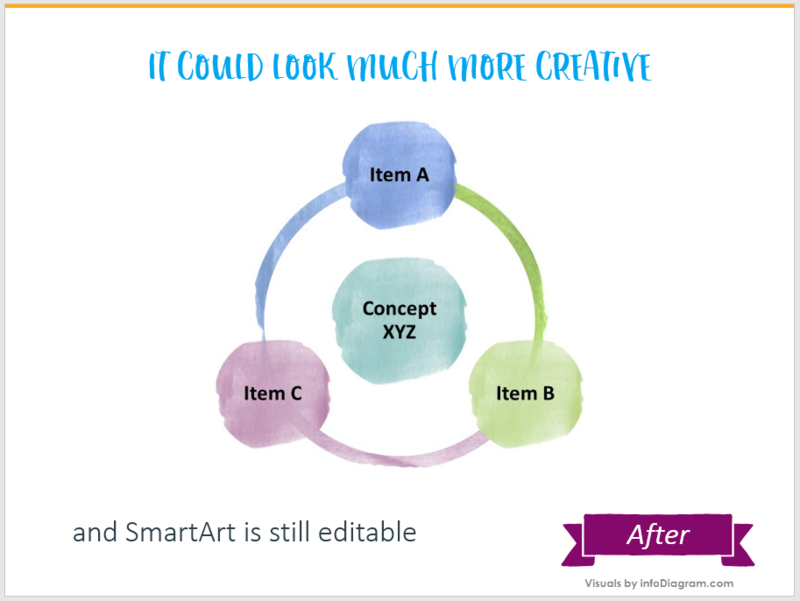 Creatively facelift your SmartArt diagrams, so they don’t look more attractive. 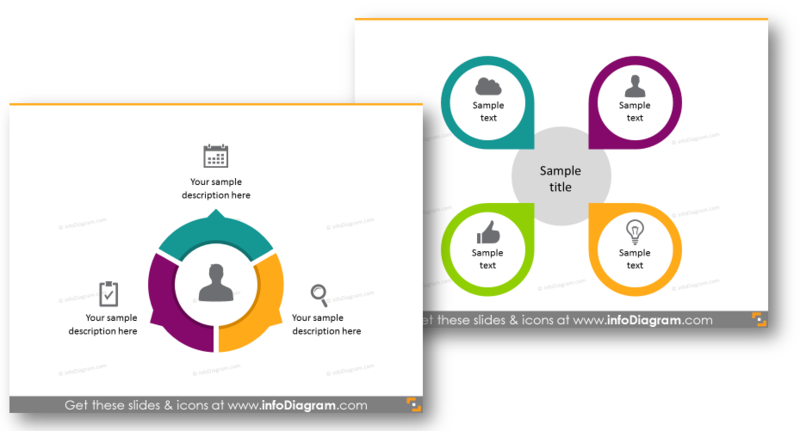 Apply an innovative way of showing numbers and statistical data. Enhance default tables and charts look. 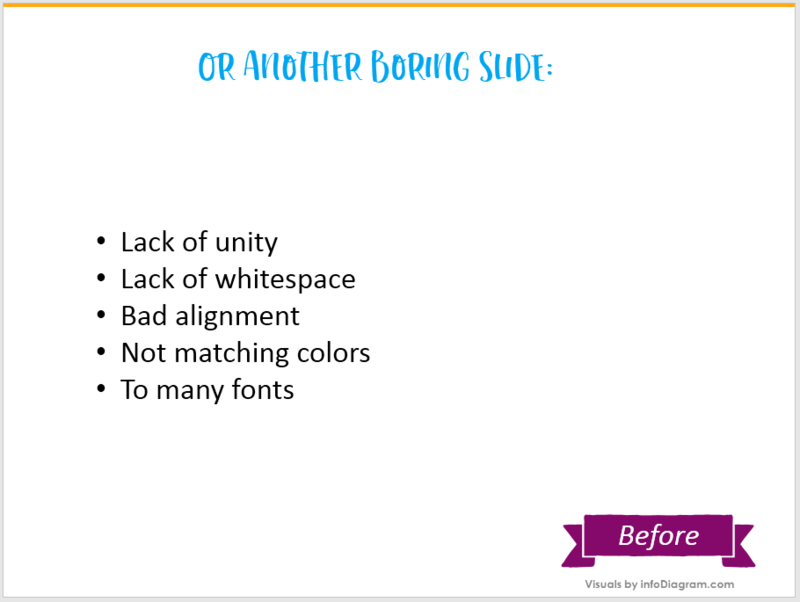 Last but probably the most important slide design suggestion – highlight your main idea visually, so it catches the attention of your audience.